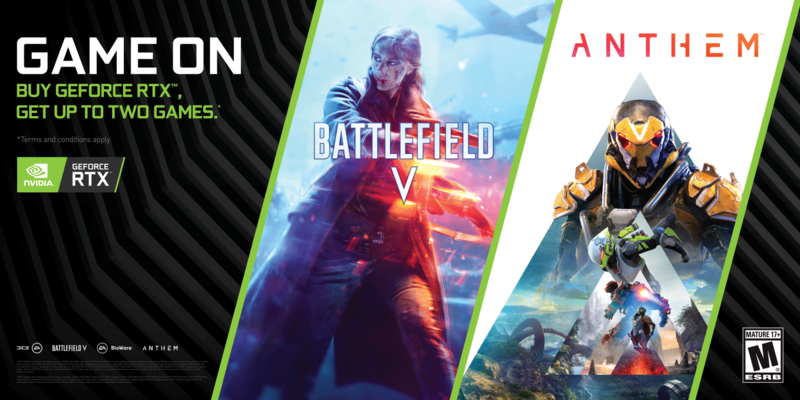 For a limited time, configure your Dreamcore PC with a qualifying GeForce RTX 2080 Ti or 2080 and get both Battlefield V ™ (worth $69.90) and Anthem™ (worth $69.90). Pick up the GeForce RTX 2070 or 2060 graphics card instead and get your choice of one these incredible titles. Learn more about how to redeem your game codes here (for Zotac graphics cards) and here (for Galax graphics cards). Redemption starts from 7th January 2019 and ends 25th February 2019. Dreamcore reserves the right to refuse a sale if the coupon codes are used incorrectly.